Trudy Beaulne cared passionately about all people and building up her community. She dedicated her life to making our society fair and equitable, making our community better for everyone. Early on, Trudy recognized that some people were left out from actively participating in society because they were different from the mainstream. They faced challenges such as income insecurity, disabilities or poor health, lack of support networks or language barriers, often focusing on simply surviving but always aspiring to something more. Trudy also realized that too many people’s voices were not heard even when decisions being made directly affected their families, their future and their dreams. Too often decisions lacked input from the lived experiences due to socio-economic and systemic discrimination. She worked tirelessly to provide opportunities where people could speak directly to decision-makers and influencers. She also encouraged people to come together and make a stronger case together. Trudy would give as much time as necessary as she was more interested in getting the process right than in meeting timelines or formal guidelines. Because she cared so passionately, Trudy frequently got involved as a parent volunteer in the neighbourhood where she lived and at her children’s schools. She also found alternatives when structures were not responsive and showed how things can be done differently. She was a long time volunteer with the Mount Hope-Breithaupt Park Neighbourhood Association and supported many neighbours work together and create inclusive spaces. She was one of the founders of the Kitchener’s Festival of Neighbourhoods and before 1994 well-known for her dedication and connectedness across the community. 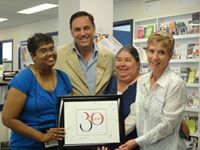 In 1999, Trudy became the Executive Director of the Social Planning Council of Kitchener-Waterloo. After her engagement with families and caregivers for better services in their neighbourhoods, in a difficult transition period for the organization, she stepped up and offered to put her research, policy and advocacy knowledge towards strengthening the Council and re-establishing it as the important pillar of the community. In the 90’s, the Council lost 60% of its funding, as other organizations too, mostly for the core functioning. Guided by a set of extremely high standards, she embarked in a tireless pursuit of funding for projects that had the power to transform information systems, service systems and political systems. Connect KW, Livable and Inclusive Communities, Festival of Neighbourhoods, Visitable Housing project are a part of her legacy as they span wide across the region and connect many individuals and organizations in joint action. Her vision for a better world led her to help build up provincial and national networks in community information and social planning, such as Inform Canada, InformOntario, Social Planning Network of Ontario. She contributed for over 15 years taking on different roles (President, Chair, Secretary and committee member), especially when the networks and associations needed an extra boost and encouragement. Her creative ideas inspired many cross-community collaborative projects and made lasting impact on associations’ policy and development work. Equity and inclusion were the guiding principles when collaborating on issues regarding access to information, digital inclusion, poverty elimination, decent work and living wage, public education, housing and homelessness, civic participation and engagement. Her words were marked when speaking on behalf of coalitions during consultations and public hearings. Described as “fierce” and “fearless,” Trudy regularly stood up to provide constructive criticism to people in positions of power even if it risked being unpopular. We cannot speak of Trudy without celebrating her spiritual strength, her Metis heritage. Drumming with her sisters and brothers, helped her go low and go high, to better understand all that is part of Mother Earth, of human and of natural world. She was a storyteller, an elder who as well transmitted indigenous teachings to guide us in relationships with ourselves, each other and Mother Earth. The impact made by Trudy is difficult to quantify partly because she got involved in so much and supported the efforts of so many people. Often she would help fill a gap, then let others carry an initiative forward. Yet her impact is undeniable and many organizations and collective initiatives have benefited from her insight, understanding of social issues and above all, from inclusive and fair process coming to solutions. Trudy was a starter. She was the impetus behind many community projects. The Festival of Neighbourhoods is one such bright gem. Trudy had more history with the Festival of Neighbourhoods than the Social Development Centre did. Celebrating its 25th year of operation, Trudy always saw the FoN as a low-key way to get people to know their neighbours and establish relationships of trust and mutual support which is beneficial for everyone involved, regardless of their age, ability and background. Late 2002, the Social Planning Network of Ontario launched a province wide initiative to engage in exploration through Design Studios, or “reflection-in-action”, the ways in which mainstream and marginalized populations can come together to close the social and economic distance between them. Trudy was extremely sensitive to the contradiction where different groups had different experiences of inclusion or exclusion and mobilized staff and residents to explore some of the dichotomies, “giving teeth to diversity”. Through an extraordinary community engagement, the South-West project grew to cover 2475 square kilometers in cities, town and rural areas and bring together youth and older adults in many communities. In a world where Internet connectivity is increasing important, Trudy and Social Development Centre lead the way as a central catalyst to provide Internet connected workstations for people and (in some cases) for agencies themselves at approximately 30 locations throughout Kitchener-Waterloo making “you can get it online” a reality for many people. Trudy had a vision of bringing partners together to ensure uniform access and standards across locations in the region, so everyone would find technology and supports to use it in predictable and friendly ways. Through cooperation and sharing of resources, many of the locations in the network gained more than a technological boost. The staff and users shared information and knowledge about information and referral in general to counter the assumptions that online everyone can have easy responses to their needs. Mobile Internet labs were as well a part of the initiative, thanks to which under resourced Out of the Cold shelter guests or private rental housing locations would offer both the Internet and training support. Trudy always saw the disability community (as varied as it is) as a community who was ready to talk about the implications of decisions that other people were making impacted their lives. An early starting point for DHR was a 2007 visit by Ontario Attorney-General Michael Bryant to discuss changes to the Ontario Human Rights Commission and Tribunal process. During that meeting, older people with disabilities wondered where were the younger leaders. Another early item was the commemoration of United Nations International Day for Persons with Disabilities. Sometimes the meetings were weekly, or every other week or the current formation as a group that meets monthly, we continue to meet and to discuss many important issues and concerns. The group was sometimes a challenge for Trudy, as skilled and gifted a facilitator as she was as the pace and redundancy in the process were extremely important to ensure that everyone was on the same page despite differences.. The group has made several submissions to the systematic update to the Ontario Building Code over the years, some of those years we were one of very few groups to feature the views of people with disabilities, a credit to Trudy indeed. In April 2008, the participants of the 1st Annual Waterloo Inclusion Forum identified Aging with Disability as a key issue to be addressed in the future. The first of several phases that we worked on this project in conjunction with the Canadian Centre on Disability Studies in Winnipeg began in 2009. James Hunsberger, a local disabled advocate and early participant in the Centre’s disability work was a board member for both organizations at the time. Trudy always had questions about how best to apply academic research to people’s lives and situations. As a result, the project grew and assessed the evaluation framework for Livable and Inclusive Communities, making it possible for anyone to take a deeper look into effective ways to address inclusion. Based on one of its values that “communities physical environment has a direct correlation to its citizens overall health, well being and quality of life” led to the third phase of the project being focused on Visitable Housing. Trudy first heard about Visitable Housing during meetings in Winnipeg for Livable and Inclusive Communities in March 2009. It is a concept championed by the Canadian Centre on Disability Studies where 1) there is one no-step entrance 2) there are wide hallways and doorways on the main floor and 3) there is at least a large half bath on the main floor. Visitable housing is NOT full accessibility, but it at least allows someone with mobility equipment to enter the first floor of a home, access the rooms on that first floor and use the washroom as needed. Having this standard acknowledged on wide basis would mean that people with disabilities could at least enter and visit in many homes, an assumption they just cannot make now. Particularly as we experience the demographic shift of an aging population, these small kinds of changes to the way homes are built could keep seniors in their own homes longer. Language suggesting visitability was added to the Regional official plan and to the official plan of the City of Waterloo as a result of efforts Trudy and the DHR made shortly after that trip in 2009. 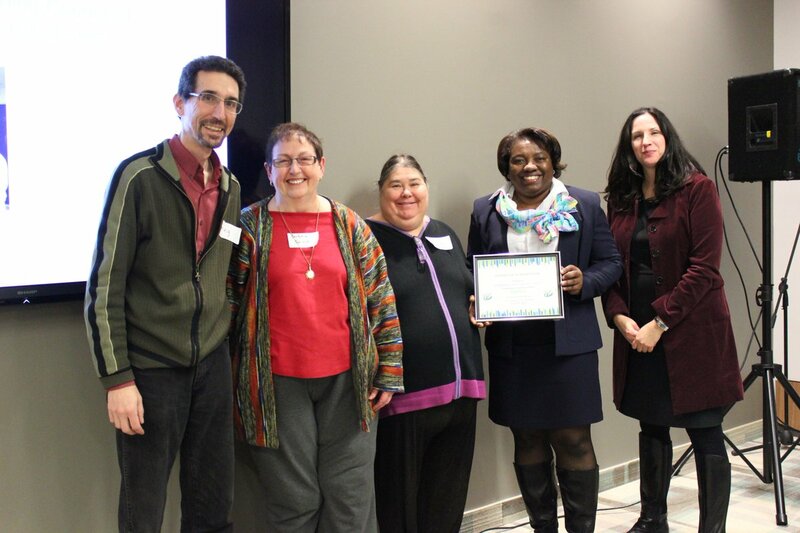 A concerted effort to have visitable housing built in Waterloo Region was again part of joint work of the SDC and the Canadian Centre on Disability Studies from 2014 to 2016. Trudy had a vision of a world that is rooted in a deep sense of decency and dignity. Canada was built on an important social contract that everyone has to work together so that no one would live into an uncertain future. She envisioned an overarching guidance framework that would encompass a number of higher end goals for social and economic development at the neighbourhood level, where most of the vulnerable people find the core of their life. Some of the guidelines to assess the strength of our neighbourhoods and decent lives are: being able to meet all basic needs for shelter, safety, nutrition, health and transportation; being independent and in control of your life; participate in meaningful activities; having good, positive and supportive relationships; having influence on decisions affecting our lives.